Who said barbecue is only for carnivores? 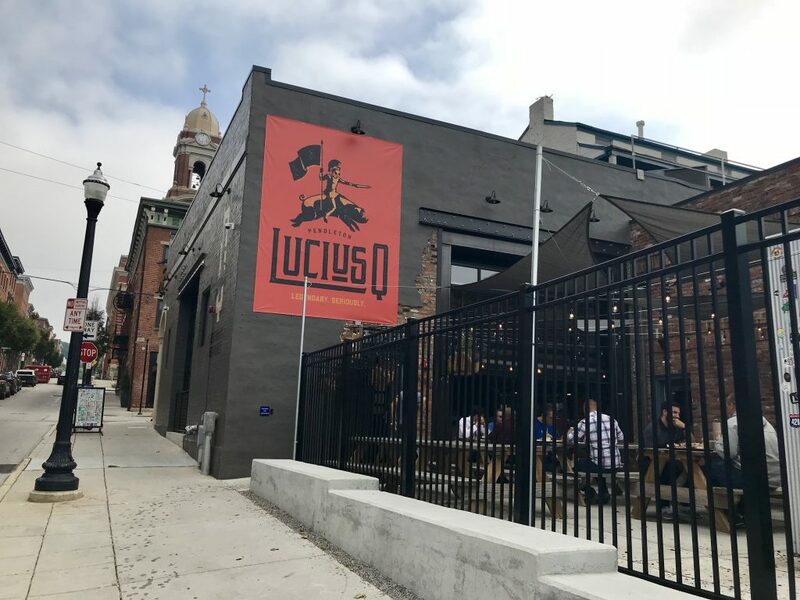 Not Lucius Q. 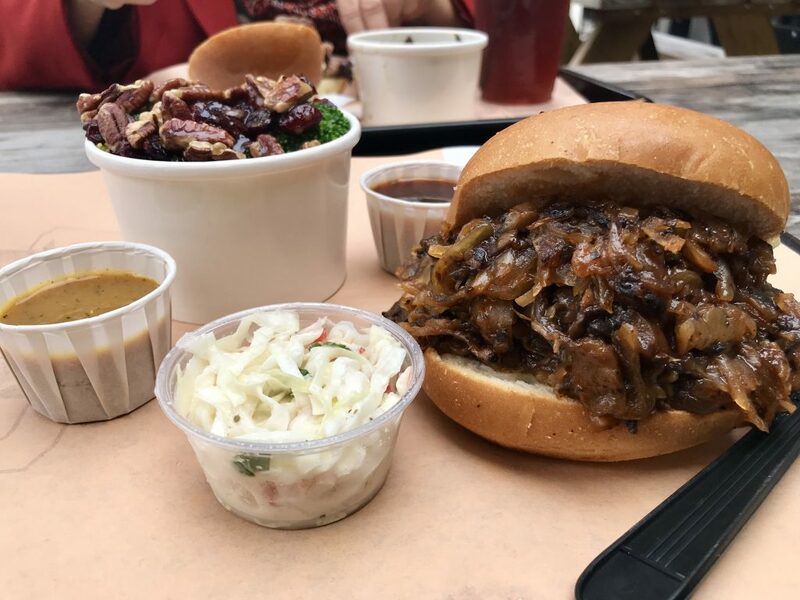 The Pendleton barbecue joint takes a twist on traditional comfort food with its vegetarian-friendly sandwich, the Veggie Q. If you didn’t know the ingredients, you might just think you were biting into a savory pile of pulled pork. The locally-baked Giminetti bun is packed full with shredded trumpet mushrooms, cabbage and onions cooked in the restaurant’s Luscious Lucius barbecue sauce. The sandwich is served with a side of red pepper coleslaw, adding a much-needed crunch to each bite. If you’re looking for more sauce, try dipping the sandwich in the mustard-based Queen City Gold sauce, which offers an acidic contrast to the smoky veggie flavors. For a side, pair with the broccoli salad (minus the bacon for vegetarians). The broccoli, pecan and cranberry mix adds a crisp, bright balance to the meal. 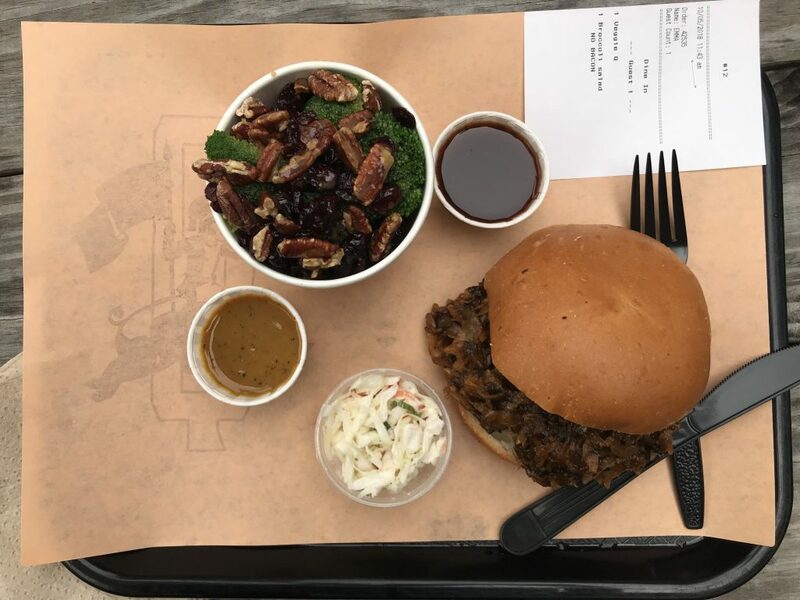 The Veggie Q might not be brisket, but it’s just as good.